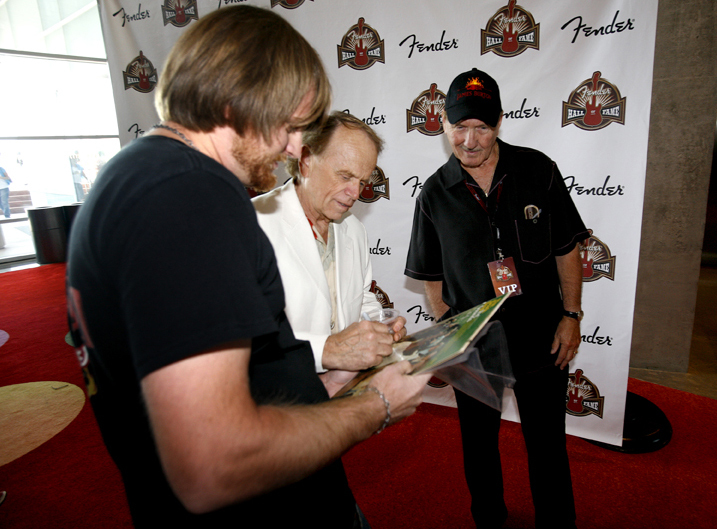 In August of 2008, James was among the first musicians to be inducted into the Fender Hall of Fame. 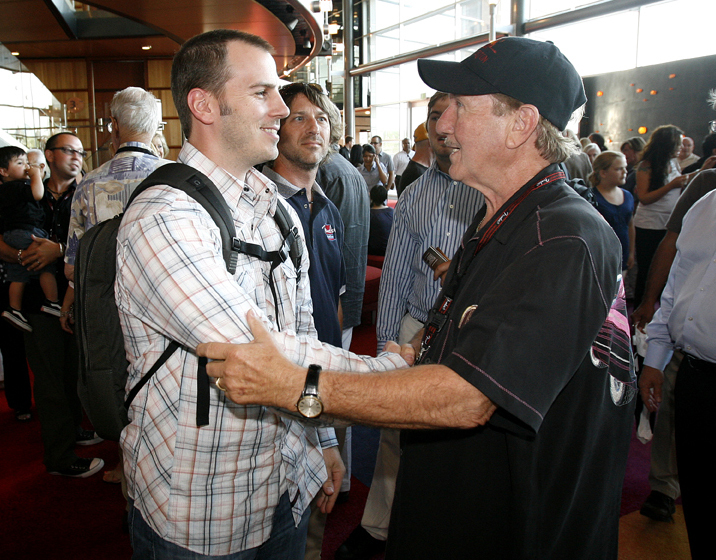 James Burton is the guitar hero’s guitar hero, an icon among rock and country musicians. He kicked-off his musical career by recording the popular hit “Suzy Q” with Dale Hawkins at age 15. 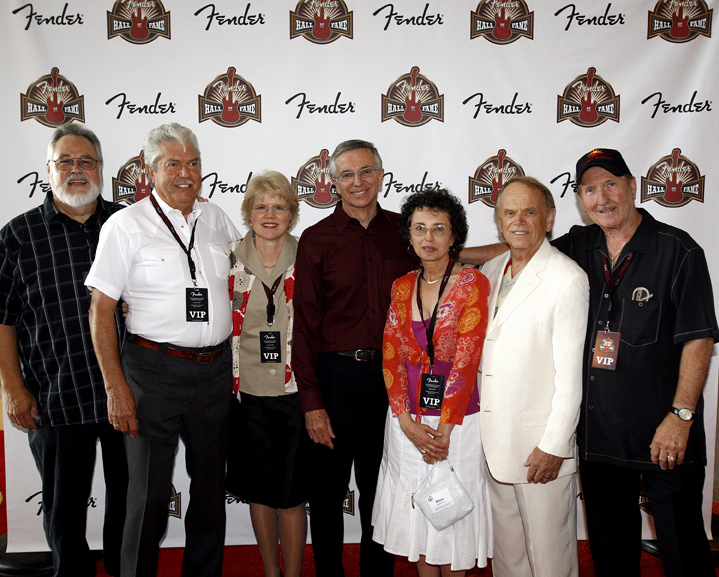 Often accompanying Ricky Nelson on the popular Ozzie & Harriet TV show, he helped introduce America to the sound and look of Fender during rock and roll’s first golden age. 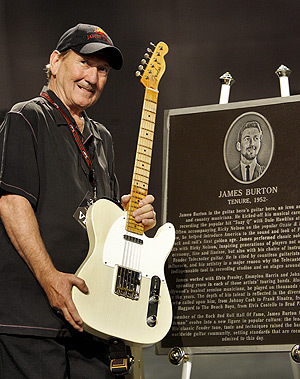 James performed classic solos on many hits with Ricky Nelson, inspiring generations of players not only with his economy, fire and finesse, but also with his choice of instrument – the Fender Telecaster guitar. 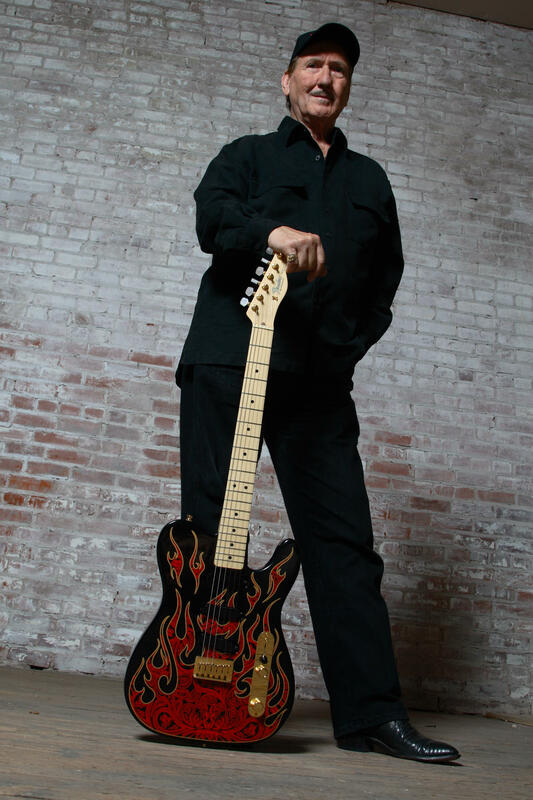 He is cited by countless guitarists as a vital influence, and his artistry is a major reason why the Telecaster became an indispensable tool in recording studios and on stages around the globe. James worked with Elvis Presley, Emmylou Harris and John Denver, spending years in each of those artists’ touring bands. Also one of Hollywood’s busiest session musicians, he played on thousands of recordings over the years. 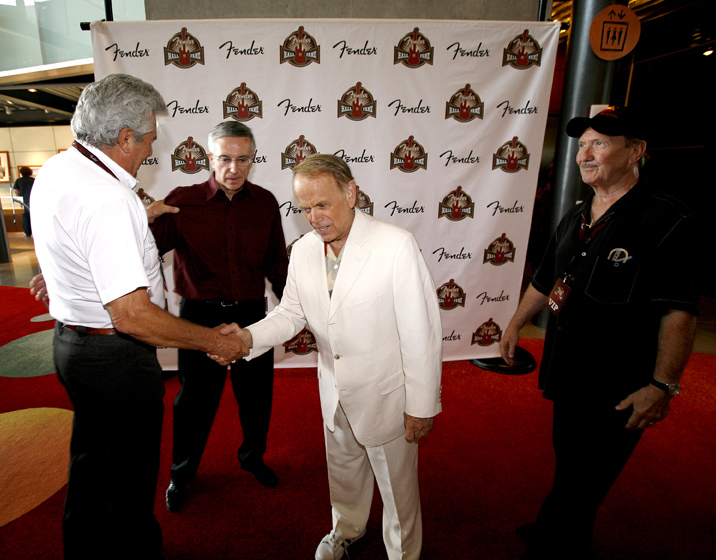 The depth of his talent is reflected in the diversity of artists who called upon him, from Johnny Cash to Frank Sinatra, from Merle Haggard to The Beach Boys, from Elvis Costello to Brad Paisley. 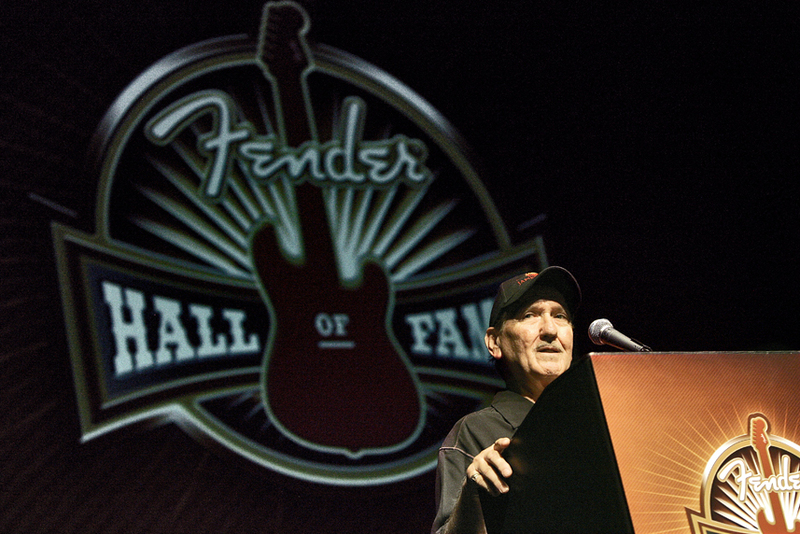 A member of the Rock And Roll Hall Of Fame, James Burton helped the “sideman” evolve into a new figure in popular culture: the lead guitarist. His classic Fender tone, taste and techniques raised the bar for the worldwide guitar community, setting standards that are recalled and admired to this day.